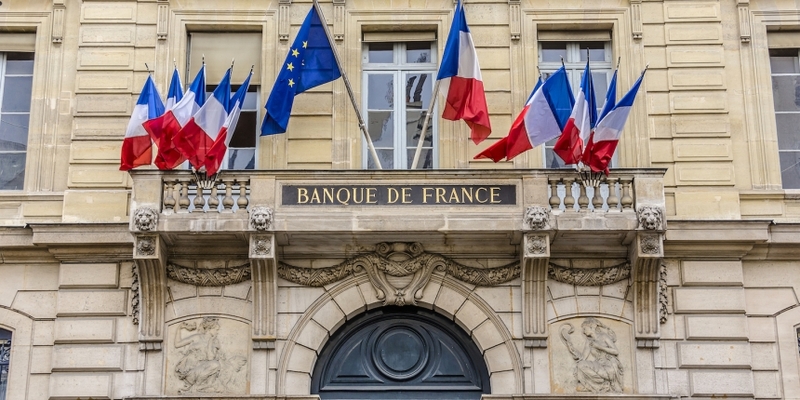 France’s central bank wants to keep banks and other financial institutions out of the cryptocurrency business. The report, which provides an overview of the technology and suggests strict regulatory provisions, claims that cryptocurrencies do not constitute money and emphasizes that they are not legal tender. The document labels them instead as a medium of cyberattacks, money laundering and terrorism financing. Echoing other critics, the report also dismisses the recent run up in “the price of crypto-assets” as a “speculative bubble” akin to the “tulip mania” period in the Netherlands from 1634 to 1637. As for the central bank’s suggested regulatory framework, it writes that its priority is to institute anti-money-laundering (AML) and combating the financing of terrorism (CFT) measures, which would be achieved by expanding the European Union’s Fourth Anti-Money Laundering Directive. It also expressed concerns about investor protection and “cyber-risks,” and cautioned that the crypto industry’s “boom in activity” could potentially destabilize financial markets. The report’s first recommendation is to “regulate the services offered at the interface between the real economy and crypto-assets” – meaning primarily that crypto exchanges should be considered payment services providers and should be subject to corresponding legal requirements. The bank goes on to suggest strict supervision of crypto-asset investments, including the aforementioned prohibition of banks, insurance companies and trust companies from dealing in crypto deposits and loans, and marketing prohibitions associated with savings products. It also writes that it agrees with the suggestion of France’s stock market regulator, the Autorite des Marches Financiers (AMF), that cryptocurrency derivatives should not be marketed to the public. The bank closes its report with an appeal to global regulators to enact “international-level” measures to oversee crypto-assets, arguing that a lack of coordination could undermine the efficacy of any national-level actions. Editor’s Note: Some of the statements have been translated from French.